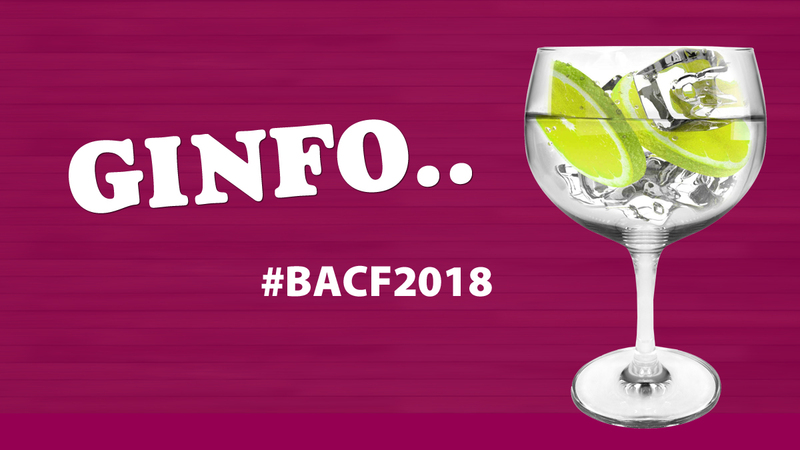 The news that Bracknell Ale & Cider Festival 2018 will gin-infused has led to several terrible puns on our part but also a good amount of excitement on social media. With that in mind we thought we’d post exactly which gins will be available on the day. We would ask, that as this is our first year with a gin tent that you bear with us – we haven’t gone mad on what we’ve ordered and will use this years event to get an idea of what the popular gins are and, like we have done with the rest of the event come back stronger in 12 months time. So, here’s what will be available at the Advantage Printroom Gin Bar. Bombay Sapphire: Strong citrus nose, acidic lemon dominating. There’s a sweetness and a distinct floral fruity character in the background. Gordon’s: A Classic. This is a triple-distilled gin flavoured with juniper berries, coriander, & angelica. Gordon’s Sloe Gin: A crisp Sloe Gin made by steeping Sloe berries in Gordon’s gin. Crisp and delicate. Gordon’s Pink Gin: Light sweetness of fresh red fruits, with a bite of juniper and coriander underneath. Lingering zesty notes of fresh raspberry go on and on. Tanqueray London Dry: Very fresh and smooth with slight hints of juniper and citrus coming through with good hit of liquorice too. Whitley Neill Quince: Massive fruit influence, as you might expect. Juicy citrus, with a touch of ripe pear and peach hiding in there too. Whitley Neill Rhubarb & Ginger: Subtly tart with clear rhubarb influence. A twist of orange sweetness and herbaceous coriander brings balance to the palate. Brockmans: Made with Bulgarian coriander, blueberries and blackberries as well as bittersweet Valencia orange peels. Gin Mare: Savoury and very herbaceous but still definitively a gin with a prominent juniper flavour. Hendricks: Smooth and superbly balanced botanicals, flavoured with citrus and juniper with a subtle, lingering finish of cool, refreshing cucumber and rose. Opihr Oriental Spiced Gin: Coriander and citrus flavours, gentle juniper and peppery notes. Silent Pool Gin: A crisp clean gin with layers of flavour; juniper married with rich notes of lavender, honey and kaffir lime. Tanqueray No. 10: Very subtle yet fresh aromas of grapefruit on the nose which leads to a great blend of juniper, vanilla and lime on the palate. Tanqueray Sevilla: Made with bittersweet Seville Oranges to deliver a fruitful and zesty taste. William Chase: A beautiful balance of Juniper, Citrus & Spice.